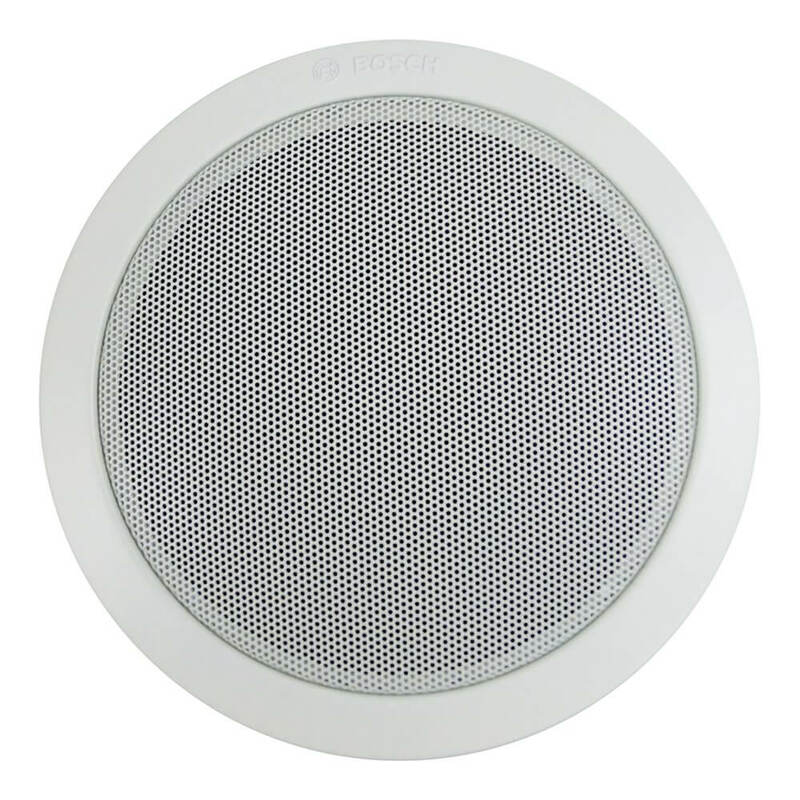 The LHM 0606/10 is a general purpose 6 W cost-effective ceiling loudspeaker for clamp mounting into the ceiling and is suitable for both speech and music reproduction in shops, department stores, schools, offices, sports halls, hotels and restaurants. An optional fire dome is available. The speaker assembly consists of a single-piece, 6W dual cone loudspeaker and frame, with a 100 V, matching transformer mounted on the back. 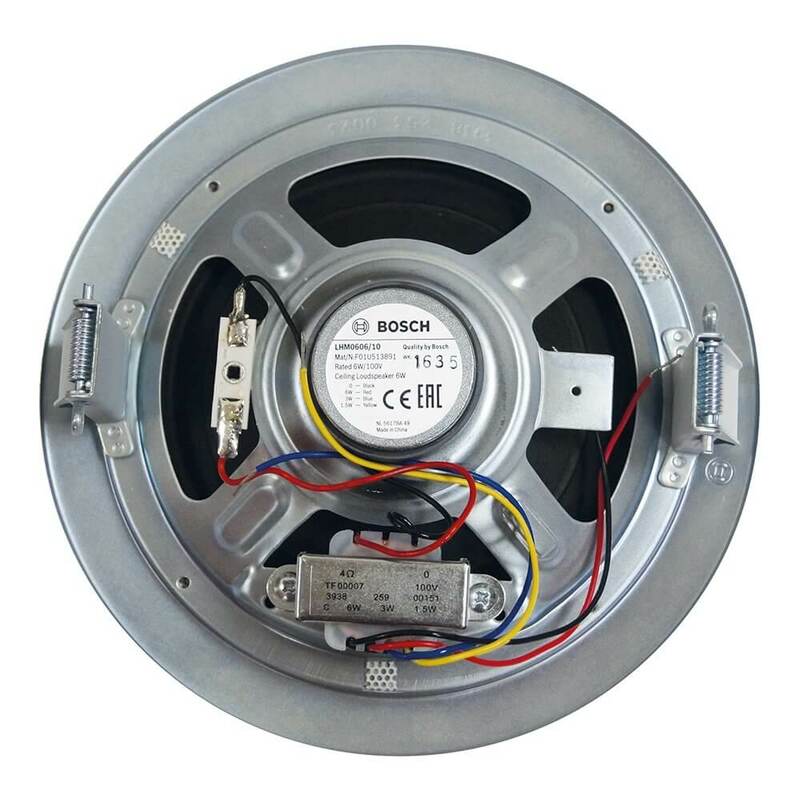 The LHM 0606/10 is a general purpose 6 W cost-effective ceiling loudspeaker for clamp mounting into the ceiling and is suitable for both speech and music reproduction in shops, department stores, schools, offices, sports halls, hotels and restaurants. An optional fire dome is available. The speaker assembly consists of a single-piece, 6W dual cone loudspeaker and frame, with a 100 V, matching transformer mounted on the back. A circular metal grille is an integrated part of the front. The appearance and neutral white colour have been selected to be unobtrusive in virtually all interiors.